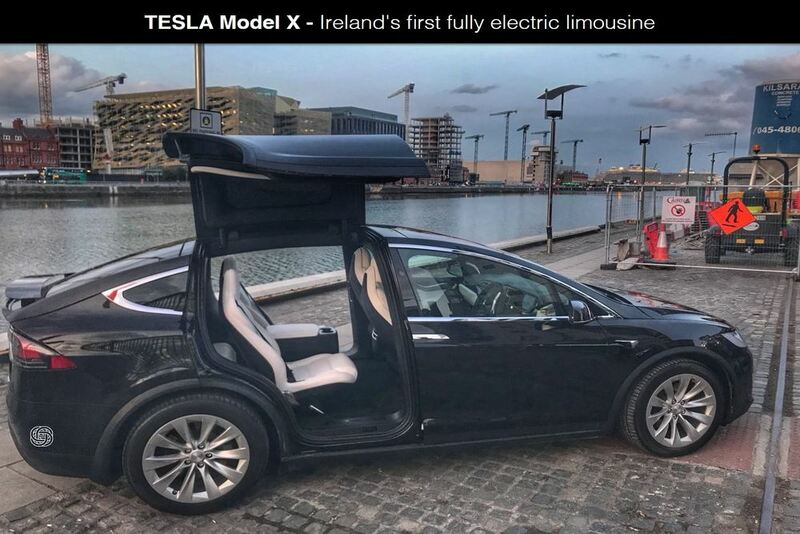 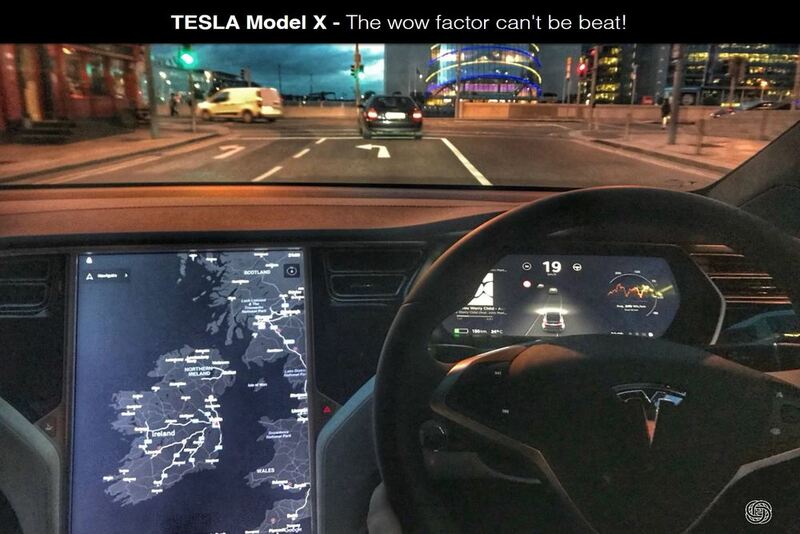 Ireland's first limousine licensed TESLA Model X. 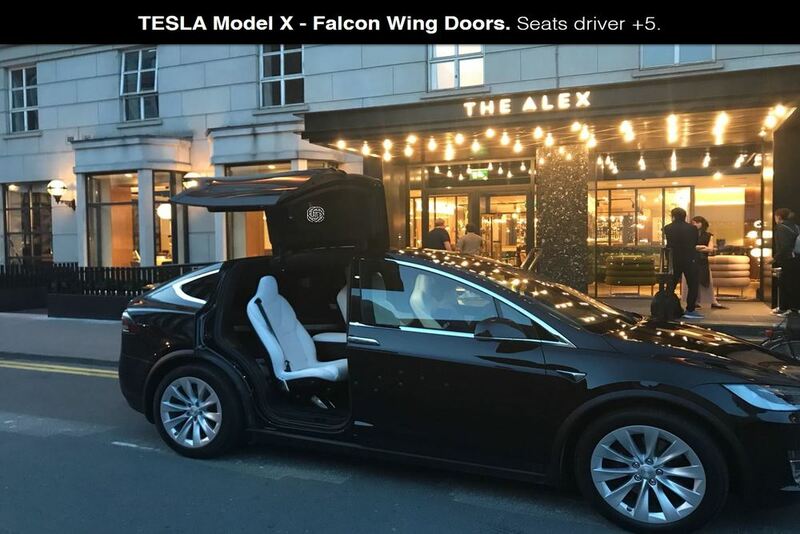 Yes with the Falcon Doors! 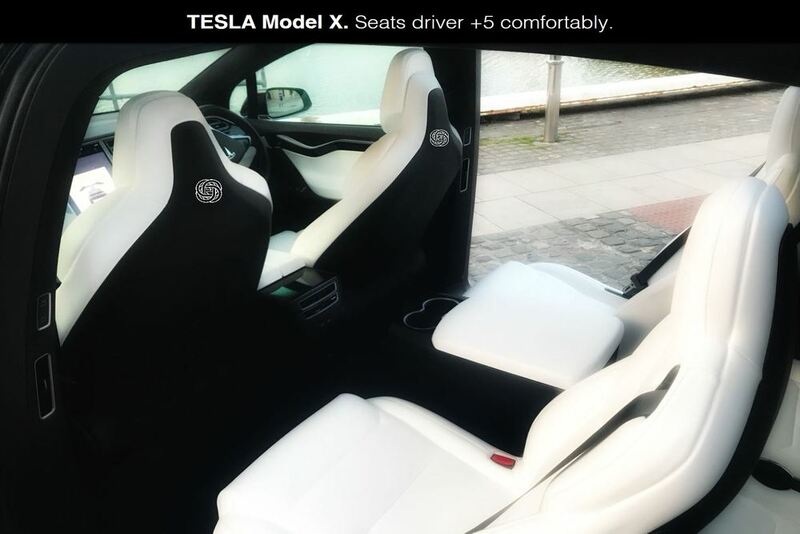 Seats 5 passengers in a luxurious all electric experience! 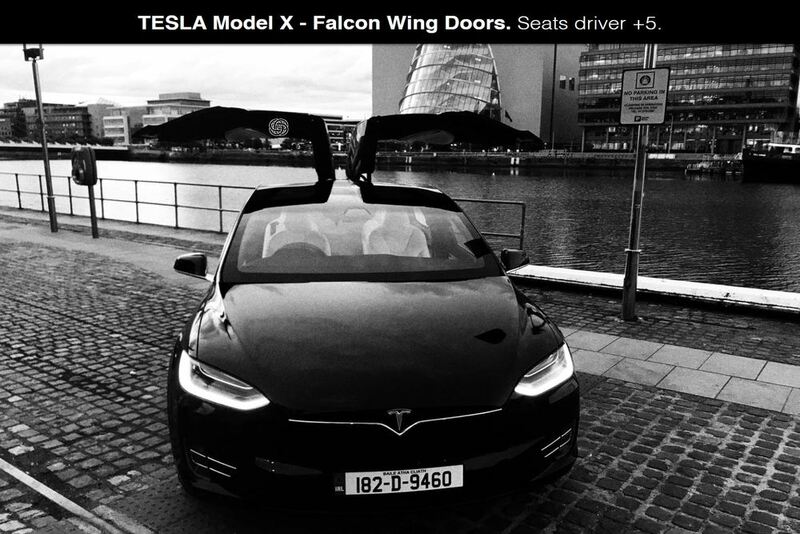 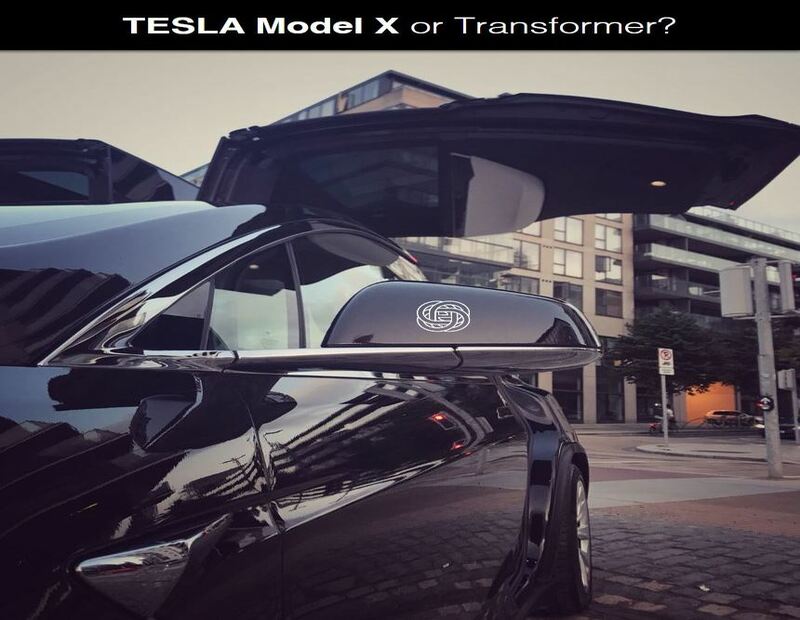 The TESLA Model X is an all wheel drive spacious and high end SUV which we are please to introduce as a limousine option for our clients in Ireland. 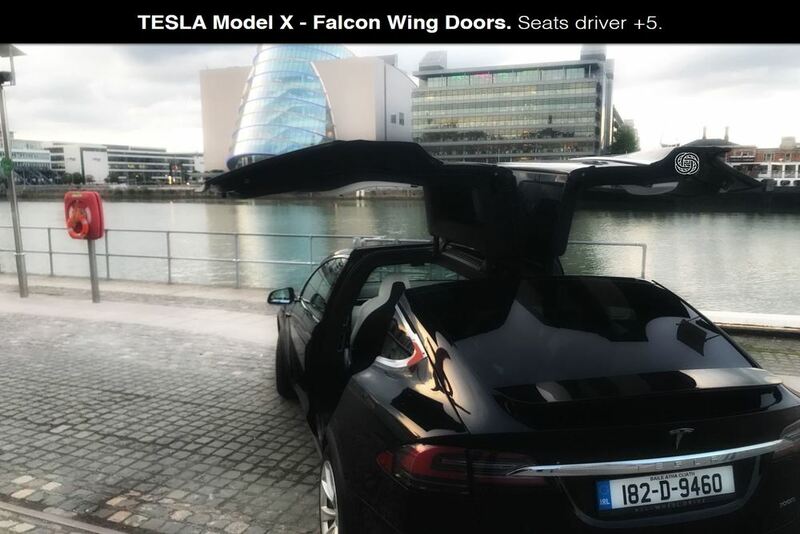 Yes, this is the TESLA with the falcon wing doors! 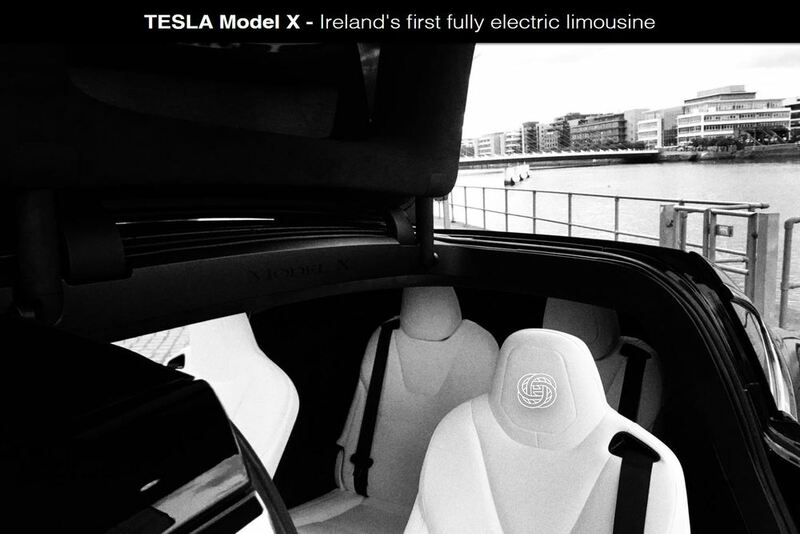 Our TESLA is available for chauffeur and limousine services in the greater Dublin area. 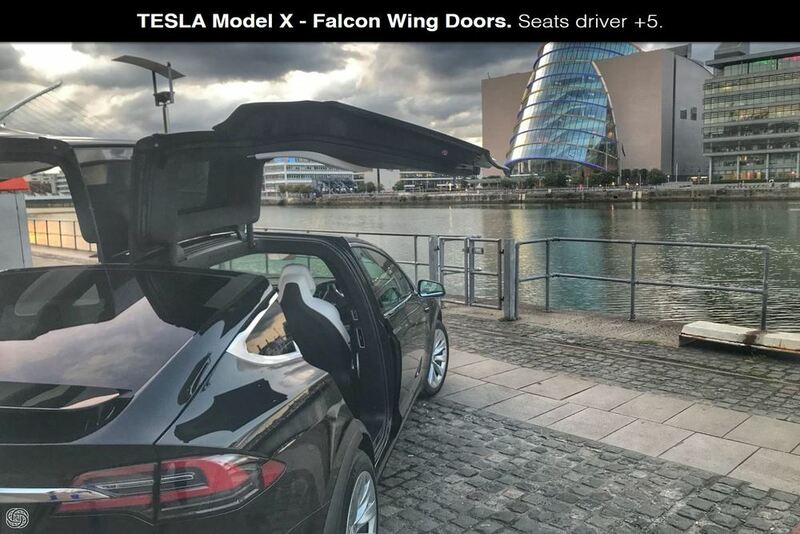 Additional information about your requirements.